Many people living with a lung disease experience breathlessness daily and feel like nothing more can be done. There are, however, existing support services that can help such as pulmonary rehabilitation and exercise maintenance classes, like Lungs in Action. Kylie Johnston from the University of South Australia and a team of expert health professionals are undertaking a research project looking at a new model of care – home-based breathlessness intervention services – for people with advanced disease and chronic breathlessness. The project will add benefits including understanding and managing breathlessness, providing strategies to be used across advanced diseases and raising awareness about the services available to improve the care of people living with chronic breathlessness every day. Kylie sat down with Lung Foundation Australia to talk about what this research is trying to achieve, how it will help people living with a lung condition and what success looks like. What is the research trying to achieve? 1. Pilot, deliver and evaluate a home-based Breathlessness Intervention Service in the Central Adelaide region to people with advanced disease and chronic breathlessness who have been frequently readmitted to hospital in the previous 12 months. Kylie Johnston (right) and Consumer Reference Group members (from left) Elaine Ward and Louise Ward. This project received one-year funding from the Medical Research Future Fund Rapid Applied Research Translation Impact Grant Scheme in 2019. The project builds on previous work made possible by The Winston Churchill Memorial Trust award of a 2016 Churchill Fellowship to Dr Kylie Johnston and the prior work and ongoing collaboration with the Intermediate Care Services, Respiratory Stream of Southern Adelaide Local Health Network on the Breathlessness Intervention Service Program Pilot Study. How will it help people living with a lung condition? Holistic services that integrate palliative care principles can reduce distress due to breathlessness, and reduce psychological outcomes of anxiety and depression, better supporting people and their carers to manage this troubling symptom.1,2 In people with advanced disease these services may also provide a bridge to pulmonary rehabilitation and a structure to link with palliative services including pharmacological breathlessness treatments. The core practical intervention strategies around breathing, thinking and functioning are highly valued by participants, as is the individualised, person-centred approach in the person’s own environment. Many people with chronic breathlessness from advanced disease, and at times health professionals, feel that “nothing more can be done”. On the contrary, there are ways to help: such as pulmonary rehabilitation, which is a highly effective and underused treatment. 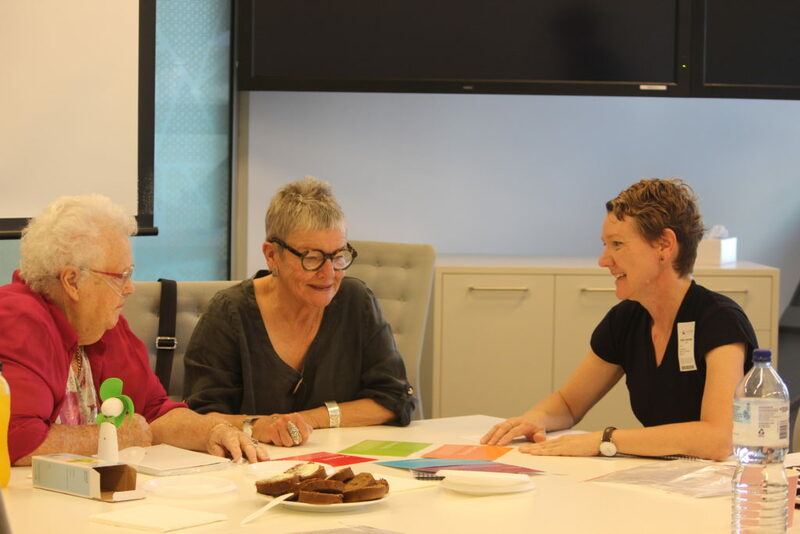 Breathlessness Intervention Services are now being investigated locally for the way they may interface with existing treatments in the Australian setting and the costs and outcomes of this approach for both people with chronic breathlessness and their carers. This project will contribute new benefits, especially in the sharing of information about understanding and managing breathlessness; providing simple effective strategies that can be used across advanced diseases by a range of health professionals; and raising further awareness about the care of people with chronic breathlessness in the Australian community. We are especially pleased to have consumer involvement including a consumer researcher on the team, Ms Debra Kay and a local group of people with breathlessness and carers involved at all stages. Would you like to roll out the model nationally? The recent systematic review1 and consultations3 about Breathlessness Intervention Services have shown there are a range of potential service models and further work needs to be conducted in this area. In Australia, some existing Breathlessness Services are clinic-based and some offer home-based brief interventions; we are seeing what works locally and our findings will contribute to how benefits can be spread out and scaled up. We are excited about the opportunity to offer a health professional training course in Adelaide in June 2019 with a world leader in the area, Dr Sara Booth. We will be evaluating this course and see this as an important aspect to expand on.